It’s a shame that I only hear about this product after the Kickstarter has finished. 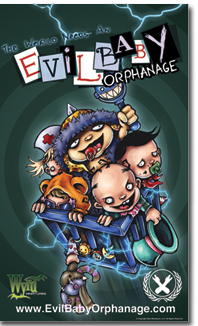 A simple looking card game has players as time nannies trying to save the world by kidnapping some of the nastiest people in history as babies and trying to raise them to be boring accountants and such like. 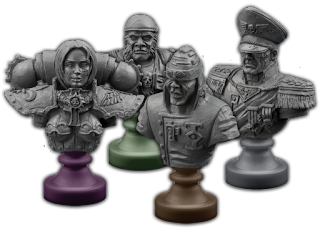 It’s in poor taste but what do you expect from Wyrd miniatures? It looks like a lot of fun but let’s hope the game has some backbone and doesn’t suffer from the same funny cards but naff game issues as Munchkin. I’ve not played Dystopian wars but I’ve heard great things about it and Spartan games are practically local. I don’t need another miniature wargames (well I do but I’m not sure my wallet does) but this one definitely looks intriguing. 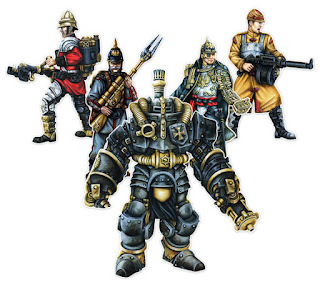 If you’re after Victorian gentlemen in steam power armour then this will be up your street. 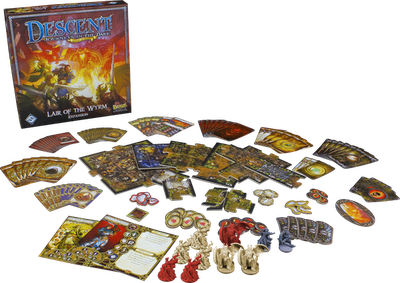 I’ve only got a few games of the new Descent under my belt and Fantasy Flight announces the first expansion. 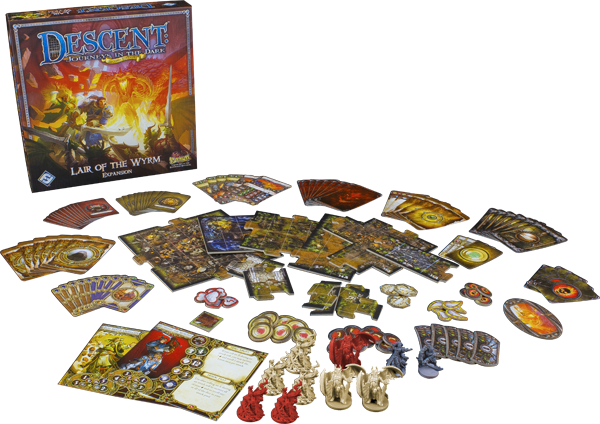 Based on the popularity of Descent at my local group this mean I will definitely be getting this. More treasure cards, a larger variety of monsters and adventures that can be added to any campaign (suggesting more campaigns on the way) will not go amiss. I’m not going to buy a colossal! Its £100 on a single miniature, I must be mad to pay that. Then I saw that Protectorate colossal all painted up and shiny looking. Damn it, I want one now! Image from Miniature Armies Huge Timesink. It’s Wings of War with X-wings and Tie Fighters, need I say anymore? 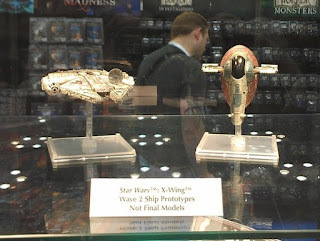 Unsurprisingly, a whole Corellian Cruiser full of expansions and miniatures where teased including the Millennium Falcon and Slave I. Not only was Relic playable it looks like the feedback was very good. It seems like the dreaded roll and move is still present but all things suggest that this is an improvement over Talisman and captures the feel of the dark future of the 41st millennium. I’m never going to be able to get any of my friends to play Mouse Guard. None of my friends can be convinced to pretend to be a mouse, in fact if I even suggested an rpg most of them would look at me like I’m a weirdo and ask “do I have to wear a cloak?” Do you want to play a board game about mice with swords? Board games are always an easier sell and this one look like I’ll have no problem playing this with my wider group of gaming friends, everything about it looks so beautiful. Where you lucky enough to attend GenCon? What where your highlights?